After spending half a day with the students of the Kanata Montessori School (KMS), I have a feeling our future will be bright! Let me introduce you to Zoe, a grade 1 student at the school. 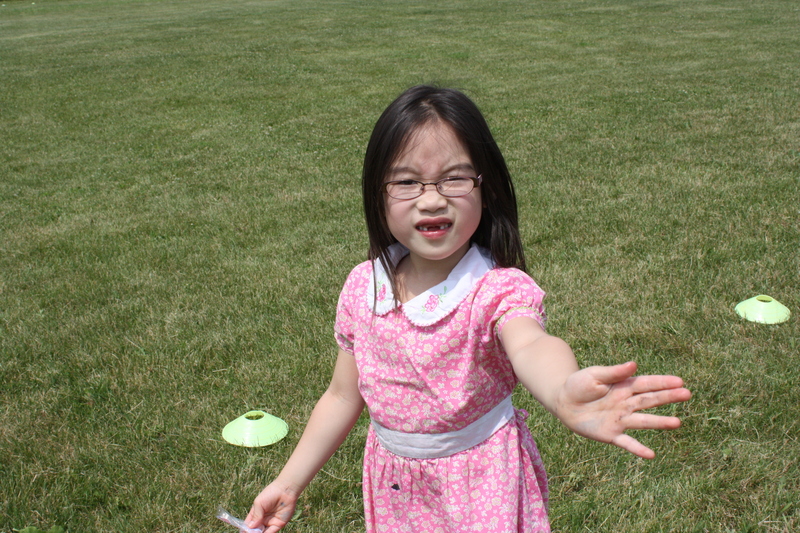 This spring, Zoe had heard from her mom Heather that I was going to run across the Gambia to help kids in West Africa. Zoe was captivated by the project and decided she wanted to get involved. After some brainstorming with her mom and dad, the idea of a book sale at Zoe`s school in support of Love4Gambia was born. Next, Zoe and her parents talked to Carrie Whalen, the Vice Principal at the school, who encouraged and supported Zoe`s idea. KMS fosters not only a strong sense of school community, but also making a contribution to the larger community – which extends all the way to the Gambia. Through the support of parents and students at KMS, boxes and boxes of previously enjoyed books, games and toys were collected. Then Zoe and her friend Ava set up a table at the school and re-sold these items for an entire week – working hard before and after classes each day. Following the book sale, I was invited to the school to meet the kids, to talk to them about Love4Gambia and to join them for their annual `freezy run“ organized by phys ed teacher Bob Davidson. When I arrived at KMS, I was met by some of the senior students, who led me into the gym, where I was welcomed by the rest of the kids with a big KMS cheer. We talked for a while about how the lives and school days of kids in the Gambia are different from those of children in Canada. All the KMS kids had been driven to school that morning by their parents, while kids in the Gambia typically have to walk to get to school. Friends of the KMS kids all go to school (except for those who are too young, as I learned! ), but not every child in the Gambia can go, since parents may not be able to afford the price of education for every child in the family – and families often have seven or eight children. In Canada, boys and girls can get an education, while in the Gambia girls often have to work around the house and can`t spend as much time studying. Often parents will only send the boys to school if they don`t have enough money to pay for all their kids. Gambian children also wear a school uniform and because they can often just afford to buy one per child, students usually have to wash it by hand themselves every day. KMS students, on the other hand, can wear what they like and have many different clothes from which to choose. 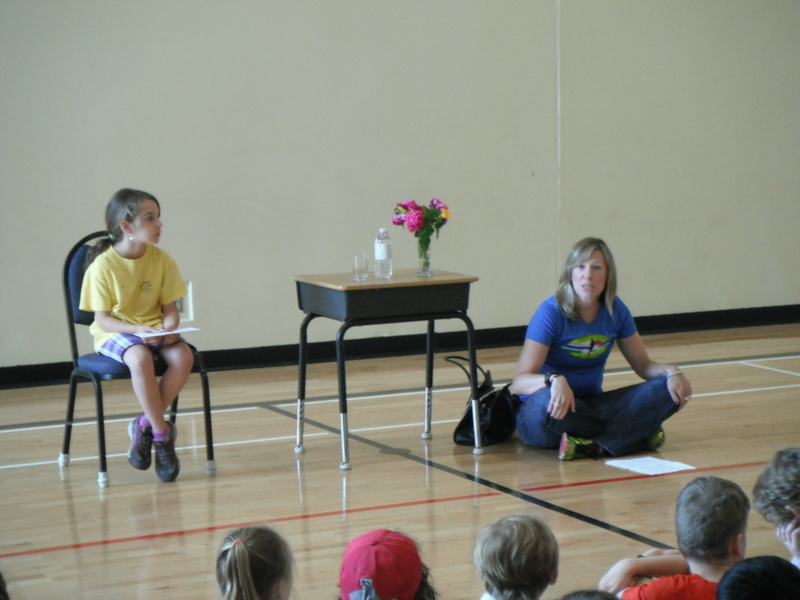 The kids had been told about my run and had many burning questions about that, too. They wanted to know if it will be hot where I`ll run, if I would stop or just keep going every day, if I had to take an airplane before I got to where I will run and if I will run all by myself. 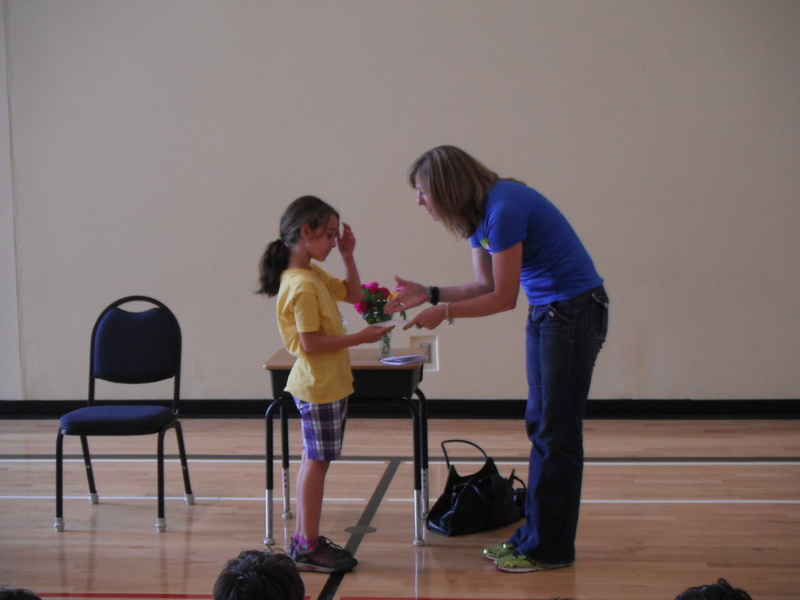 After talking for a while, Zoe came to the front of the gym and presented me with a cheque on behalf of the school. The kids had raised an amazing $770 to help children in the Gambia learn how to stay healthy. This is enough money to teach the student bodies of two schools, each with anywhere from 500 to 700 kids, about important topics such as child protection and children`s rights or about land mine awareness. In addition, this donation covers the cost of training four peer educators in HIV/AIDS education and prevention, malaria education or the importance of the environment on health. 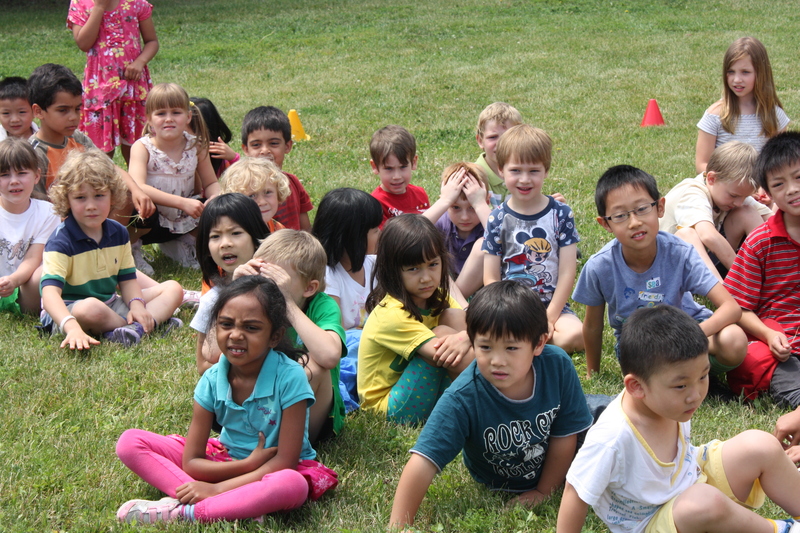 In short, the money raised by the children and parents of Kanata Montessori School is sure to save lives. A huge thank you to all involved for making a difference in the lives of children in West Africa! Ready, set, go! The freezy run! Next we headed outside to the soccer field to start the “freezy run”. 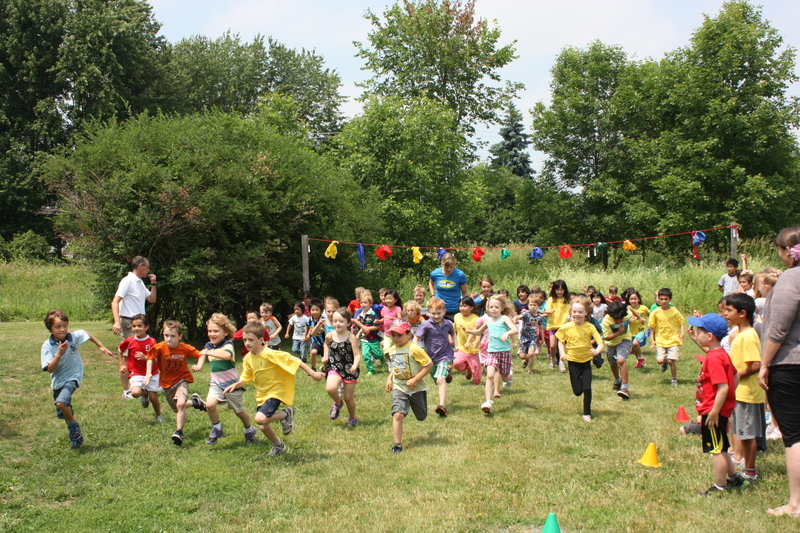 This event saw all of the younger kids run two laps around the field – a total of 600 meters – while the older students were to cover three laps or 900 meters. 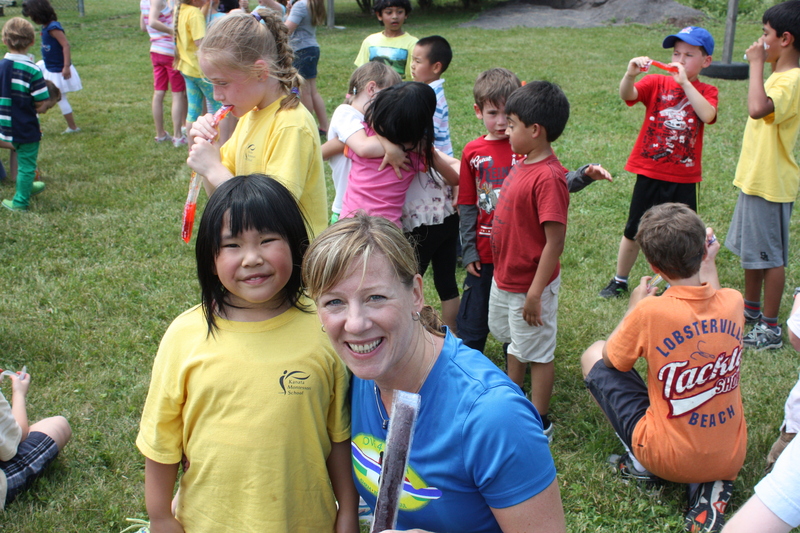 Each runner was going to be rewarded with a freezy to cool us down on a hot day. The oldest children at the school were stationed along the course as guides and cheer leaders – and they did their role justice! As we ran along, we got high fives and encouraging cheers. The kids also cheered each other on and were very supportive of each other. While they may not have heard of the African concept of Ubuntu, they were exhibiting it in spades! Seeing the children of KMS interact with each other and sensing their genuine support of my venture showed me that they were not just learning reading, writing and arithmetic in school, but also many valuable life skills, self confidence and a connectedness to their global and local community. And what’s more, they were having fun doing so, as was evident from the many gap-toothed smiles I saw. Zoe joined me in running each and every one of the races and got an extra big cheer from the whole school after we crossed the finish line of the last run. Then she gave me a tour of the entire school and playgrounds. It was a fantastic day and I can’t thank Zoe, her mom Heather, Ava, Carrie Whalen, Bob Davidson, the rest of the teachers and the entire student body and their parents enough for their support. I’d also like to extend our sincere thanks on behalf of the Nova Scotia Gambia Association and the kids in the Gambia. adventure this summer, Zoe and I plan to go for a run in Gatineau Park followed by a picnic at one of the park’s many cabins. I look forward to sharing my adventures in the Gambia with her and maybe some day, she will run across the Gambia to help keep kids alive and communities strong. 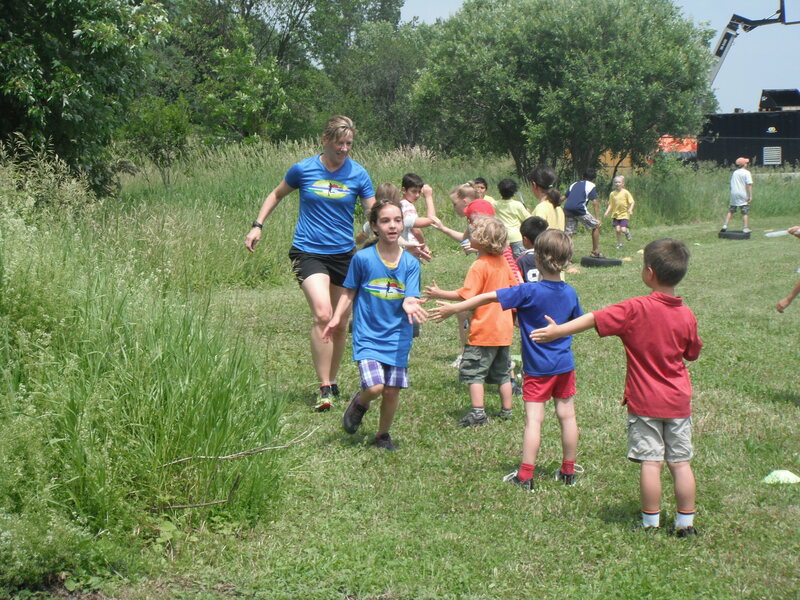 This entry was posted in Charity and tagged Fundraising, Global awareness, Kanata, Montessori School, Phys Ed, Ubuntu. Bookmark the permalink.